We’ve been taught by shows like Catfish to be intensely skeptical of strangers on the internet. But if those strangers are selling tickets to a food festival, hell yeah, sign us up! 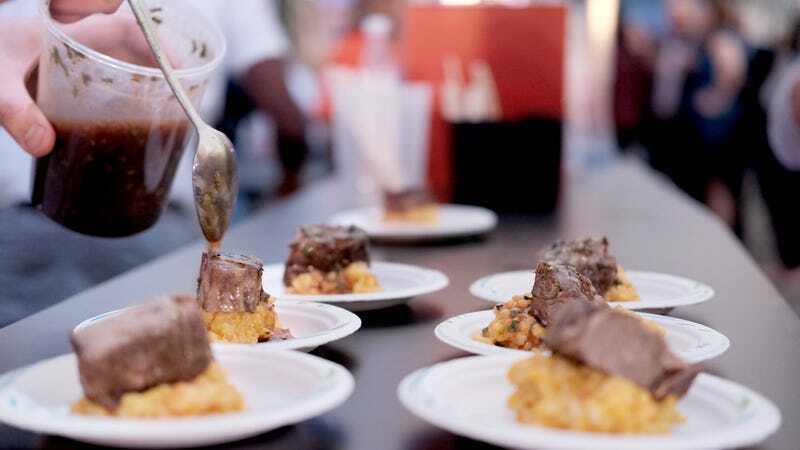 Given a series of dubious food events lately, it would behoove us eager food-festival attendees to spend a bit more time researching the events’ organizers. For example, recent letdowns include a cheese festival that ran out of cheese and a pizza festival that ran out of pizza. The latest is a supposed Chicago taco festival—titled Taco Festival—that, mere days before the event, had announced no vendors, had listed no location, and didn’t have city approval. Still, the Chicago Tribune reports some people had bought tickets ranging from $20-$80 and were eagerly awaiting this mysterious taco fest. (Aside: The festival also promised “high speed daredevil chihuahua racing.”) Hopefully those people get their money back, as Patch reports the events company—with a disconnected phone number and an unregistered business name—has suspended ticket sales. Who is the event’s organizer? Can I find a website, phone number, and reviews of this business? Does the event specify the quantity and type of food and beverage provided? Is there a venue listed? Is the ticketing website legit? Is there a refund policy? Can I verify this event’s location with the venue and/or the city? Has this company hosted other events that were successful? I’m not trying to rain on any fun food-festival parades, quite the contrary. It just seems like they’re the latest way for some unsavory (or just totally inept) marketers to make money. Ask questions, and if you don’t get satisfactory answers, bust out the tortilla press and host your own at-home taco festival. How do refrigerator crisper drawers work?